In the introduction to Rhode Island Beer: Ocean State History on Tap, Ashleigh Bennett and Kristie Martin invite you to “join us in cracking your favorite Rhody beer and learn more about what is and always has been brewing in the Ocean State.” You’ll need to line up a few brews to absorb all of the bygone lore and recent stories that they share from our little corner of the beer world. Ashleigh and Kristie, who you know from the Two Girls, One Beer blog, spent many hours of 2014 digging through archives and breweriana collections and talking with the folks who are spearheading our current beer renaissance. The tale spans 375 years — from the Baulston Brewery, which opened in Providence in 1639, to the Tilted Barn Brewery, the state’s first farm brewery [formerly Ocean State Hops], which poured its first beers in Exeter a few days before Thanksgiving 2014. The opening chapter covers “The Ocean State Originals,” with rich and fascinating vignettes and bits of trivia about fleeting and legendary operations, from John Bligh’s short-lived Narragansett Brewery [“no relation to the Narragansett Brewery we’ve all come to know“] to the mighty James Hanley Brewing Co.; from What Cheer Brewery to Pawtucket’s first beer-maker, the Hand Brewing Company; from the Narragansett Brewery we’ve all come to know to Eagle Brewing Company. “Party Foul,” the chapter on Prohibition, has some juicy bits about Rhode Island’s resistance to the movement [RI and Connecticut were the only two states that didn’t ratify the 18th Amendment] and its embrace of alcohol’s alternate routes: rumrunning, speakeasies, home brewing [“soon every grocery was selling malt extracts for ‘baking purposes’ ”], and other underground pursuits [“Woonsocket was known as the city of ‘mills and stills’ ”]. The post-Prohibition entry centers on the rise and fall of ’Gansett, from its glory years when “it accounted for 65 percent of all beer sold in New England” to its long, sad decline after it was sold to the Falstaff Brewing Co. in 1965. 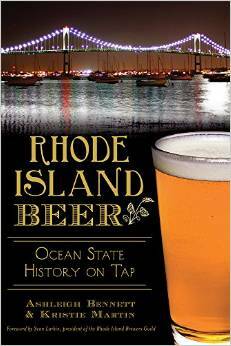 Rhode Island Beer: Ocean State History on Tap wraps up with lists of the state’s “best beer bars” and bottle shops, a look at the local brewing community, “Cooking with Rhody Beer,” and beer terms; the 160 pages are stuffed with photos and kicks off with a foreword by Lord of the Brews, Sean Larkin. The book is available at the Two Girls, One Beer shop, and the Official Release Party is at What Cheer Tavern in Providence tonight [3.31] from 7-10 pm [you can get signed books for $20, plus 18×12” prints of the Rhode Island Brewery Map by Sara Lyons, $12]. Ocean State brews will be well represented, of course, with offerings from Ravenous, Revival, Proclamation, Grey Sail, and Foolproof — and for the first time evah, Crooked Current Brewery will be available on tap. What Cheer will have the honor of pouring the very first glass of CC’s Oatmeal Raisin Stout [outside of its Pawtucket HQ]. Which means more Ocean State beer history is being made today! We’ll drink to that! If you can’t make it tonight, the girls will be at Bucket Brewery on April 11, Barrington Books on April 26, and Grapes & Grains and Norey’s on May 9 [click here for details]. 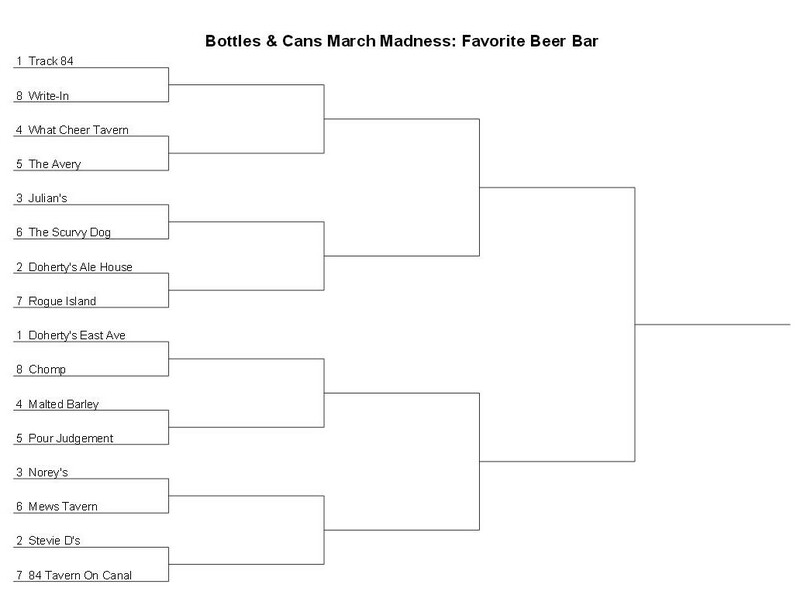 The beer drinkers have spoken, and the Mews Tavern 69ers or the Track 84 Porters will be cutting down the nets [click the links to check out their current beer menus]. Voting runs through Wednesday, and Rhode Island’s Favorite Beer Bar will be announced on Thursday. Spread the word and support your team now! FRAMINGHAM, MA: Jack’s Abby Brewing today announces plans to extend distribution of its world class lagers to Rhode Island. The brewery is expanding to the Ocean State with its oldest partner and sole distributor in Massachusetts, Atlantic Importing, who is opening its own venture in the state — the Atlantic Importing Company of Rhode Island. 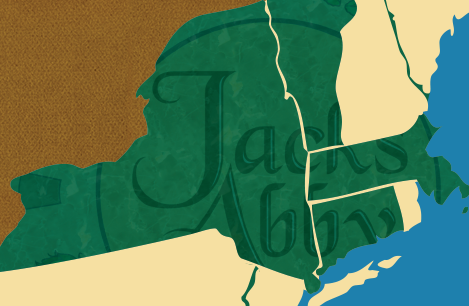 This is the latest in a quick succession of new territories for Jack’s Abby following the launch of Eastern Pennsylvania at the end of March, as well as Connecticut this past June. The Atlantic Importing Company of Rhode Island will distribute both draft and package for all of Jack’s Abby’s year-round offerings (Hoponius Union, Mass Rising, Leisure Time, Jabby Brau and Smoke & Dagger), as well as seasonal and specialty brews including Sunny Ridge Pilsner. The first delivery day is scheduled for Tuesday, April 21st. 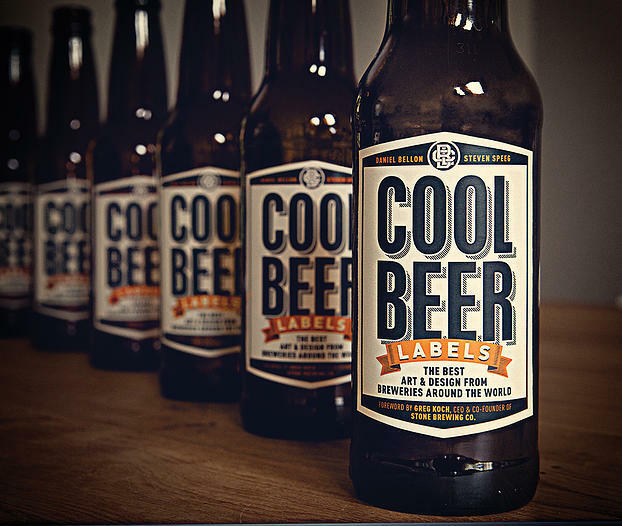 Read all about it: 25 must-try beers; cool beer labels; make your own Stone Levitation Ale; and vote in the FRIBBB Final Four! March 28, 2015 Lou Papineau Beer Fun, Beer News	25 Beers You Must Try, Levitation Ale, Ruination IPA, Stone Brewing Co.
We’re finally going to turn green!!! On Monday, the Beervana Fest Facebook page declared: “First official table signed up for this years beervana; Jack’s Abby!!!!!!!!!!! !” Which means we finally had an unofficial answer to the question that has been asked for the last few years — “When will Jack’s Abby be in Rhode Island?” We repeated that query in a December 17 post, the day after it was announced that the Framingham, MA brewery helmed by the Hendler brothers [Jack, Eric, and Sam] would be moving from its current 12,000-square-foot site to a 67,000-square-foot space. In 2014, they brewed 14,000 barrels [barrel = 31 gallons]; they’ll make about 20K this year, will aim for 50K when they cut the ribbon at the new place, and could eventually produce a whopping 125,000 barrels. They’ll also start canning their world-class lagers and will open a restaurant at their sprawling facility, which they hope to open by year’s end. But now we can report “for sure” that Jack’s Abby will debut in Rhode Island in late April and will be distributed by Atlantic Importing, a Framingham, MA-based company that has opened an outpost in this market. Reps have been visiting retailers and bars, so you can look forward to stocking up on and sipping their extraordinary year-round brews — Hoponius Union [India pale lager], Smoke & Dagger [black lager], Jabby Brau [a session brew], Mass Rising [double IPL], and Leisure Time [wheat lager with spice] — and their seasonal offerings. We know Rhode Islanders will drink to that! And with the arrival of Jack’s Abby and Alpine and the return of Ballast Point and Left Hand, “2015: The Year in Beer” is off to a outstanding start! [Here’s our look back at 2014.] Cheers to mo’ better beers! • A follow-up to yesterday’s Untappd item: check their homepage. Our work is done there! Media notes: On Wednesday, Men’s Journal posted its annual list of “The 101 Best Beers In America.” Their intro: “There’s never been a better time to be a beer drinker. There’s also never been a more confusing time. Over the past five years, the number of craft breweries has more than doubled, to nearly 3,500, cranking out countless new ales, lagers, porters, and stouts in all 50 states. 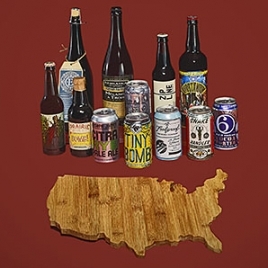 The question, of course: Which ones should you drink?” They chose two beers from every state [and one from DC]; the Rhode Island standouts in “the ultimate American beer tour” are from Foolproof Brewing Company and Proclamation Ale Company. MJ cited Foolproof’s La Ferme Urbaine, a farmhouse saison: “This eight-percent farmhouse ale tastes like it was just air-dropped from Belgium, but it’s actually from a two-year old brewery in Pawtucket. The brewers at Foolproof use a complex grain bill with barley, wheat, rye, oats, and spelt. And while we can’t tell you what exactly the spelt flavor is, it works. A bright spice from the yeast and rich malt flavor are set off by biting herbal hops in this fantastic saison.” And Proclamation’s Keraterra, an American wild ale, garnered this praise: “Rhode Island’s Proclamation Ale Co. opened in January, 2014 promising, ‘big beer from a small state.’ Its golden Keraterra delivers flavor in spades. The beer is brewed with the tropical and citrusy Amarillo and Citra hops, and fermented with wild Brettanomyces yeast in Pinot Noir barrels. The tropical hop notes harmonize with the funky flavors expressed by the yeast and the Pinot Noir barrels add a vinous oaky complexity. In what could be a mess of overpowering flavors, Proclamation reigns in each element to complement one another, instead of drowning each other out.” The local brews are rubbing shoulders on the list with the likes of Ballast Point’s Sculpin, Founders’ KBS, 3 Floyds’ Zombie Dust and, of course, The Alchemist’s Heady Topper. It’s a well-deserved honor, and comes on the heels of Foolproof and Proclamation’s buzz-generating stint at the invitation-only Extreme Beer Fest. Huzzah! • Two days earlier, Boston magazine unveiled its list of the “21 Top Breweries In New England,” with the Providence-based-but-Rochester, NY-brewed Narragansett as the lone RI rep at #21 [Hill Farmstead in VT is #1]. But the monthly’s beer-ranking bona fides are a bit suspect: In 2014, they compiled “The 50 New England Breweries to Visit This Summer” [Foolproof made the list] — which didn’t include any beermakers in Connecticut, which set off an off-with-his-head! outcry, and was amended six weeks later with “Traversing the Booming Connecticut Craft Beer Trail” [two CT brewers are on the new list: New England Brewing Co. at #7 and Two Roads at #12]. But we know very well, after years of compiling The Bests and parsing other projects at the late, lamented Providence Phoenix, that list-making exercises [and ballots and the Favorite Rhode Island Beer Bracket] are subjective and imperfect and just for fun. And when it comes to beer, everyone’s palette…um, pallet…er, palate is different. • And FYI: On Wednesday at Doherty’s Irish Pub, the Founders CBS was tapped at 7 pm, and was allll gone 34 minutes later. Get ready for the next Founders frenzy: KBS [Kentucky Breakfast Stout] will be released on April 1. 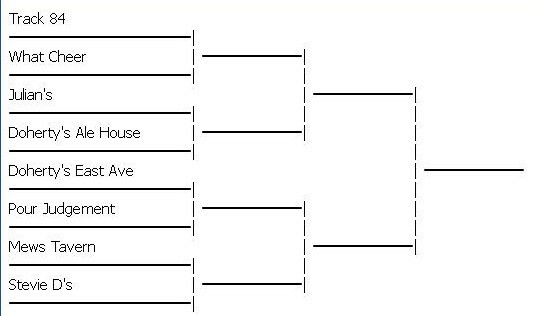 March 25, 2015 Lou Papineau Beer News	CBS, Derivative, Dogfish Head, Founders Brewing Co., Proclamation Ale Co.
Today’s the last chance to vote in the Favorite Rhode Island Beer Bar Bracket; the polls will close tonight around 10 pm. Two of the “games” are tightly contested, so your pick could be a buzzer-beater. The Final Four will be announced on Thursday and run through Sunday [3.29]. The two finalists will face off from Monday [3.30] till Thursday [4.2]. Rhode Island’s Favorite Beer Bar will cut down the nets and raise a triumphant glass on Friday, April 3. 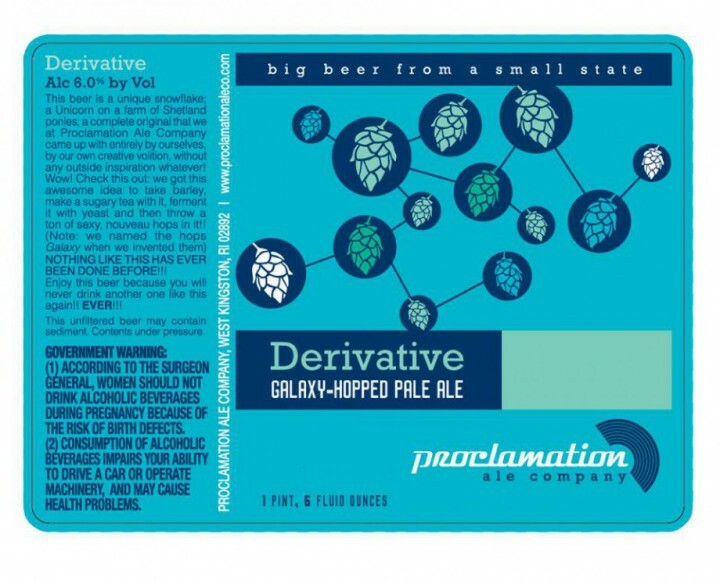 • A heads up from Dave at Proclamation Ale Co.: “Friday, March 27th 5-8 pm = bottle release night for Derivative! Come down to the brewery and grab some in bottles! (and just saying, this batch that got bottled is the best batch ever… )” If you can’t get to West Kingston, you’ll be able to snag bombers of the divine Galaxy-hopped pale ale at select beer stores in the next day or three. • Are you a beer-loving aspiring filmmaker? Then you should enter a short [three-minute-or-less] cinematic masterpiece in the 8th Annual Off-Centered Film Fest, presented by Dogfish Head and the Alamo [TX] Drafthouse Cinema. The theme: “Yacht Rockin’.” Combine water and weirdness and whatever else you can conjure to bring the concept to entertaining life. The sponsors promise the winner “a boatload of goodies, not to mention glory.” Head to the website to see last year’s winners and glom the guidelines [films must be submitted by March 31]. • Every year, Sierra Nevada presents Beer Camp, “the ultimate brewing experience.” Participants get special tours of the brewhouse, cellars, hop rooms, bottling line, and hop yard — and collaborate with SN’s “mad beer scientists” to produce unique and one-time brews [some of them get national distribution in the limited edition Beer Camp 12-packs]. 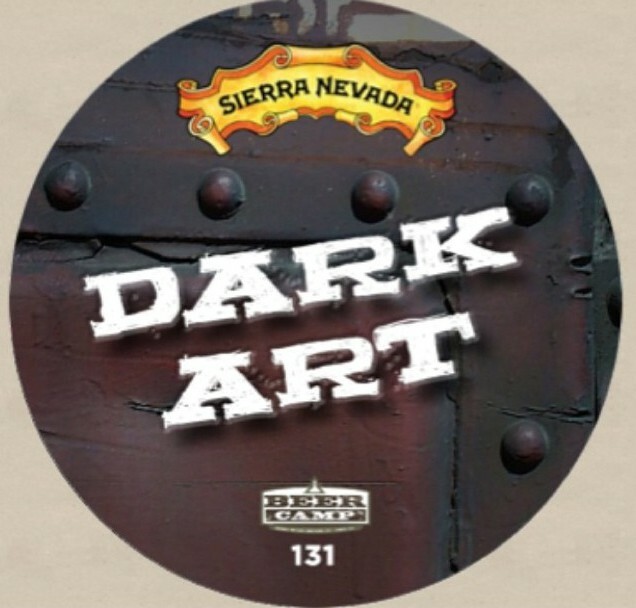 Last summer, Brian Oakley of Julians and Mike Iannazzi of Nikki’s Liquors made the trek to Beer Camp and conjured a beer called Dark Art. Brian says it’s a “strong black ale dry hopped with an experimental hop related to Simcoe [and] dosed with almonds from the local almond farm right near the brewery.” The duo “haven’t even tasted it yet,” and you can share the first taste with them tonight at Julians. The keg will tapped at 6:30 pm. And if you want to enter to win a trip to the 2015 Beer Camps [in Chico, CA June 17-19 and Mills River, NC July 29-31], go to Sierra Beer Camp for all the details. • Ready to chase a whale? 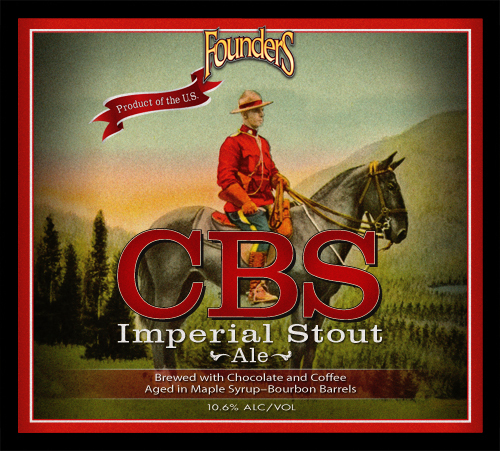 Founders Brewing Co.’s Canadian Breakfast Stout [CBS], an imperial ale [10.6% ABV] made with chocolate and coffee and aged in maple syrup bourbon barrels, is making its first appearance since 2011 [draft only]. It’s at the top of the Rare Beer Charts [and has a 100 ranking on the beer sites]. The first batch to ever be tapped in Rhode Island [Founders entered our market in 2012] will start pouring at Doherty’s Irish Pub in Pawtucket on Wednesday [3.25] at 6 pm [the poster says the event runs through 9, but the CBS will likely disappear looooong before then]. They may want to borrow a take-a-number machine from a nearby bakery or deli to cut down on jostling and lend some order to the stout-spearing. And if you miss out tomorrow, plan waaay ahead: CBS will be at Doherty’s Ale House on October 15, aka Beervana Eve.